We are determined to provide you with the ideal accommodation. The one that will completely suits your needs. We want your holiday in Sicily to be just unforgettable. All we want is to share with you the incomparable beauty of this enchanting island. That’s why we constantly update our budget villas in Sicily catalogue. Here you can find all our excellent offers. We have put together romantic small holiday homes in Sicily for couples, beautiful beach houses, or charming estates set in the countryside. It’s impossibile not to find what you are searching for! Our intention is to bring complete satisfaction to all our customers, combining an impeccable service with a very sustainable price. We do our best both through hard work and by listening carefully to your feedback. Those of you who love the lively West coast can find some of our best estates in Marsala at an attractive discount. Or for those who love the South-East, which is enchanting as well, there is a selection of cottages in Modica at a competitive rate. One of the questions we frequently get is “do you have any budget Sicily villa with pool?”. Yes, of course we do, we selected a number of estates from our catalogue that will allow you to stay on a budget without giving up the chance of enjoying your own private pool for a few days. Be wary, by cheap villas we actually mean estates with a great value for money. Many of our customers come back year after years also thanks to special offers for our returning guests. 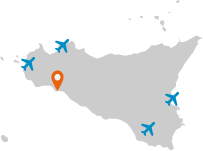 If you are looking for an accommodation at a reasonable price, but still you do not want to give up the comfort of a private villa, with our cheap villas in Sicily you can get your favourite accommodation at a discounted rate, even during the high season. Have you ever dreamt of a peaceful holiday villa with its own pool or of a beautiful beach house but have been on a budget? If so, you will find here the right place for you, where you can find a cheap villa or the right deal for your next holiday. Every month we hand-pick a selection of villas from our full catalogue for a special offer, giving you the chance to book your accommodation at a discounted rate. Also you will find a selection of estates perfect for those of you searching for the right balance between cost and comfort. Scent of Sicily maintains its high standards. If you are looking for something more you can alternatively try our catalogue of pool villas in Sicily. Looking out of the windows of the blue rooms, enjoying the sight of the green olive trees, just 300 metres from the wonderful blue sea. Love a villa with a view? 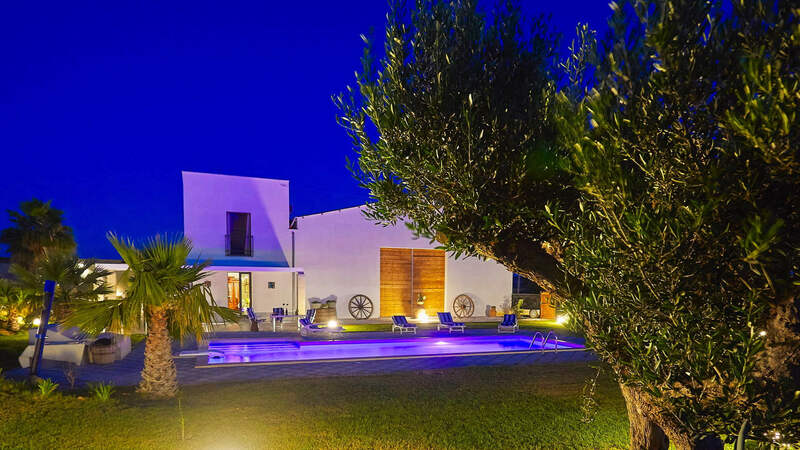 Villa Dorotea is a stylish holiday home with private pool that overlooks the Aegadian islands. A villa that will charm you with its fresh style, with a pool and located in a lively neighborhood on the sea. Enjoy the beauty of the Sicilian countryside in this beautifully restored old farmhouse, set among olive and citrus trees. A charming villa with pool, completely renovated, with a wide fully fenced garden, just 300 mt. away from the sandy beaches and crystal blue sea. Charming two bedroom country residence with swimming pool, nestled in a constantly changing rural landscape, with a UNESCO World Heritage site nearby. Villa Dany is a bright and modern accommodation on two levels perfect villa for couples or a small family.